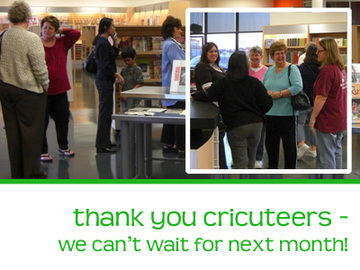 first a big thanks to everyone for their cricut club enthusiasm! we had a line in the store and the phones were ringing off the hook... we have some pretty fantastic customers!!! for those of you still interested, please make sure you call the store and sign up on our waiting list. so, what are the good things going on in your lives? let us know and get out there and enjoy this beautiful weather! Hello all you cricuteers!!! 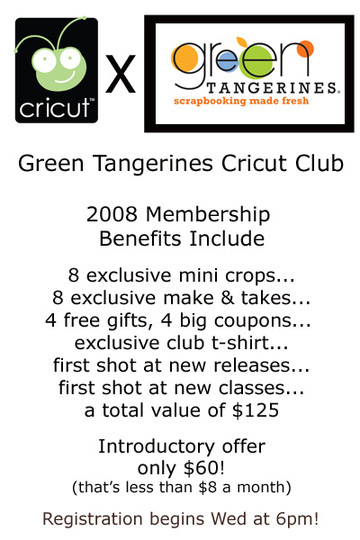 We are so excited to bring you Green Tangerines Cricut Club! Registration begins tomorrow (Wednesday) night at 6pm! You can register by calling in to the store or stopping in tomorrow night anytime after 6pm, our number in case you don't have it is 916-771-8010. This club is limited to the first 40 members, so don't delay! Our first official event will be held next month on Wednesday the 26th of March! You will receive your official club T-shirt, participate in your first exclusive make and take, and get your first free gift! We can't wait to see you there! 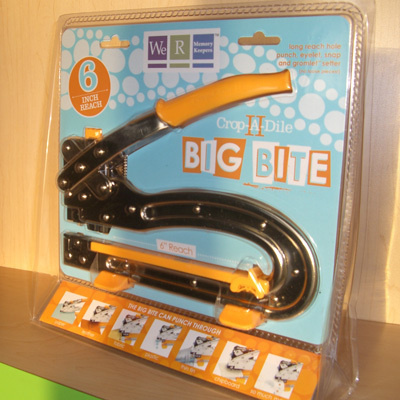 here is something new at the store... drumroll please! i forgot to mention that when you head in to do the make-n-take please be sure to bring adhesive with you. other than that we have everything you will need! hey everyone! hope your weekends were relaxing and that you managed to stay dry today. here is a sneak peek at the make-n-take for monday night. see you from 5-8! also, make sure you share your page dilemma stories... i will pick a winner this evening for the best story. ... while she was shooting, one of the pages slipped behind our classroom cabinets. after building a few contraptions covered with glue dots, our recovery mission was a success! who knew rulers taped together could be so handy. so, what about you guys? what page dilemmas have you had? share your stories and we will give a prize to the scrapper with the best story... make sure you share your creative solutions too! p.s. 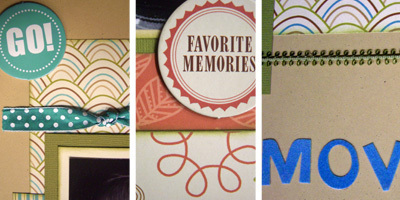 check back in this afternoon because we will be announcing the winner of our designer's challenge blog contest. also, raimi will be teaching "sweet beginnings". there are still a few spots open, so call and sign up if you are interested. 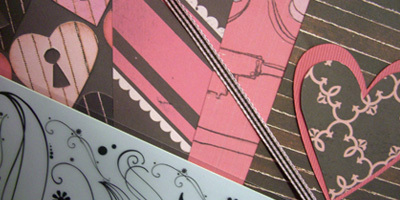 here is a sneak peek! happy tuesday everyone! 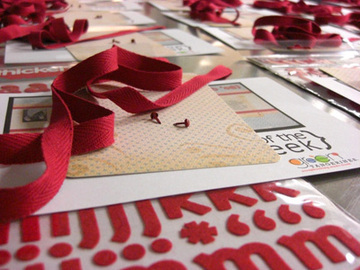 today we rolled out week 2 of our designer's challenge... rocking red! 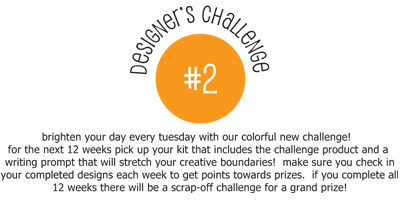 this 12 week challenge we are focusing on color and the role it plays in our everyday. "Cute as a button this little girl... did you have any hair.. did it lay in a curl?? Were you mommy’s little helper... or a terrible two?? Did you have a blankie... or possibly a Pooh?? From the day you were born... to that first day at school, we’re betting at least mom thought you were cool... Everyone has their favorite childhood photos... from the naked baby pics that embarassed you at graduation... to the first goofy toothless grin... and we can’t wait to see yours! So go grab your favorite photo and tell us your story... of when you were Cute as a Button! Once again we have supplied you with the basics to make a page... and if you have not guessed...we’ve thrown in some buttons! Use some of the supplies or all of the supplies... but you must use some of the buttons!" isn't she super cute!? 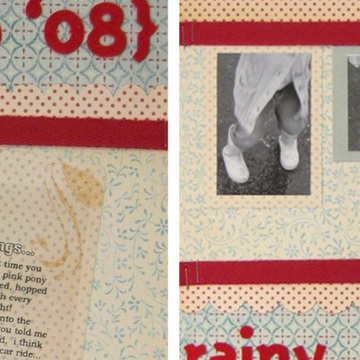 thank you brandi for sharing your layout! 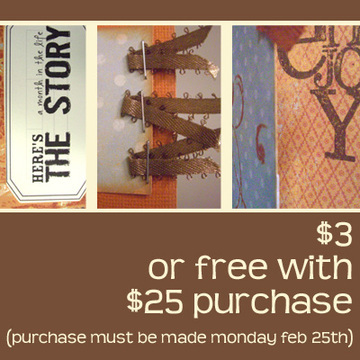 if you want to see more of the last challenge check out the sample at the store. oh, and the price ranges each week between $4 and $6. so, hurry in to grab your kit!